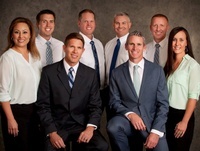 At Desert Pain Specialists, their providers specialize in: Abscess Incision and Drainage, Biopsy, Breast Exam, Gynecological Examination, Immunizations, Joint Injections, Pap Smears, Pelvic Exams, Physical Examinations, Skin Biopsy, Urinalysis, Vaccinations, Wart Removal, and Wellness Examinations. As a company, they serve not only St. George, but have offices in Hurricane and Mesquite with an affiliate office in Provo. With newly renovated offices and a waiting room for added patient comfort, Desert Pain Specialists is ready to help!